"Extremely satisfied with services provided by Dr. Chang. 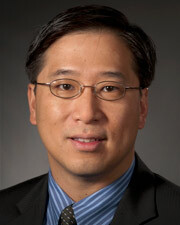 Dr. Chang is very knowledgeable, and performs his services in a professional and friendly manner." "Dr. Chang is very professional and knowledgeable." "Dr Nan ning Chang is very professional and always explains things in a clear manner 100%"
"Dr. Chang listens & answers questions. He is respectful & caring." "Dr Chan is an excellent cardiologist all around, excellent bedside manner"
"Takes time to answer questions and address my concerns. He is very caring - I feel safe with him." "Dr. Nan-Ning Chang is the best dr. in the world. He is a caring human being and an excellent dr.!" "He is the best doctor I have ever met. I am very happy with him."